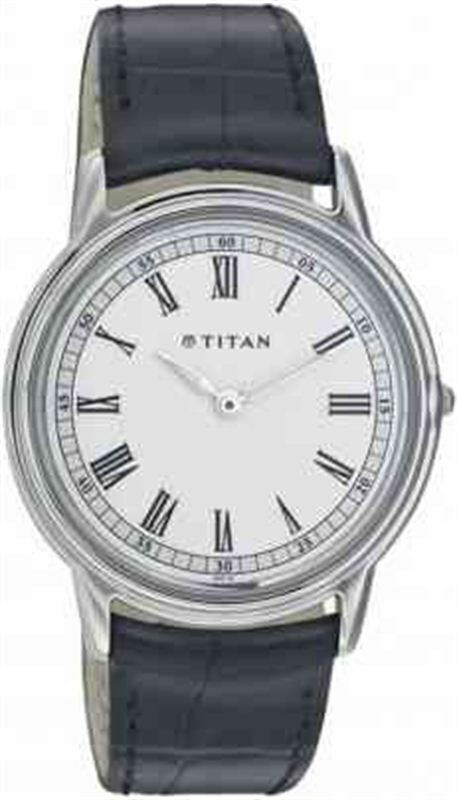 This analog watch for men features a silver dial, housed within a round, stainless steel case. The dial has plain three hands, Arabic numeral markings and stick time indicators for easy time reading. The watch comes with a durable black, leather strap that is fastened by a buckle closure. A crown allows easy time adjustment.